Have you been taking stellar photos of Seven Magic Mountains? Enter our Instagram contest! Take a photo when you visit Ugo Rondinone’s Nevada installation and post it using the hashtag ‪#‎7MagicMountains‬ for a chance to win. A finalist will be selected each month, and will be featured on Nevada Museum of Art (@nevadaart) / Art Production Fund (@ArtProductionNY) Instagram accounts. One Grand Prize Winner will be chosen on the one-year anniversary of Seven Magic Mountains in May 2017. The Grand Prize Winner will receive a “small mountain” sculpture by Ugo Rondinone. Only original content will be considered. Re-posted images are not eligible for contest consideration. 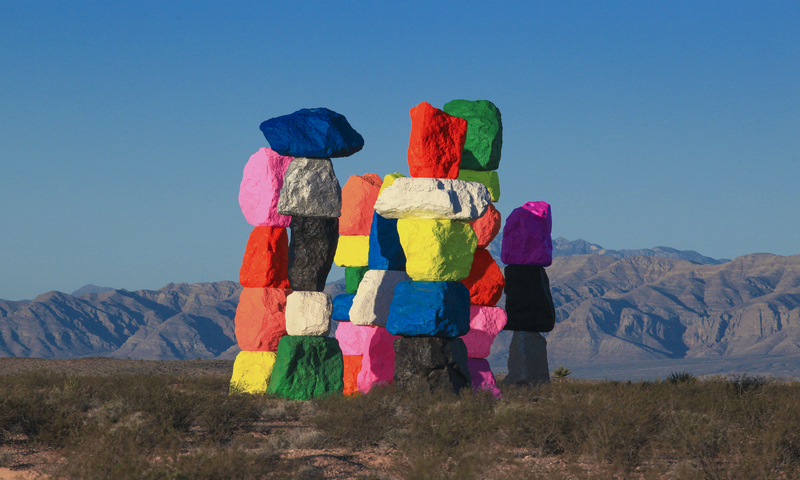 Please use the hashtag #7MagicMountains and tag @ArtProductionNY + @NevadaArt on Instagram to ensure entry.